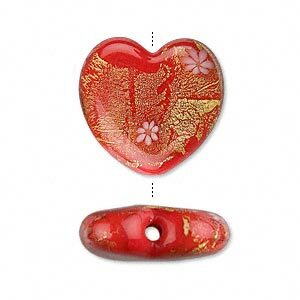 Bead, glass with 24Kt gold foil, red, 21x19mm heart. Sold per pkg of 2. Item Number: H20-4443GL Have a question about this item? Add the stylish flash of 24Kt gold to jewelry designs with elegant glass beads. Shimmering beads are handmade by mixing 24Kt gold foil with colored glass. 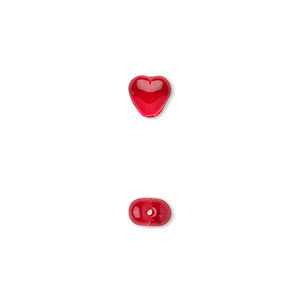 Bead, glass, translucent red, 11x11mm heart. Sold per pkg of (2) 15-1/2" to 16" strands. 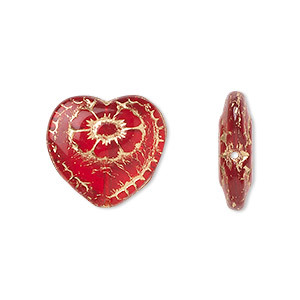 Bead, Czech gold-finished pressed glass, red, 17x17mm heart. Sold per 15-1/2" to 16" strand, approximately 25 beads. 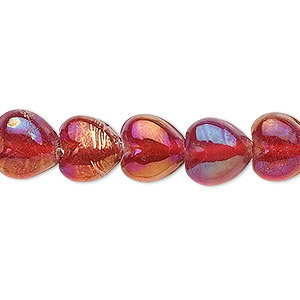 Bead, glass, iridescent rainbow red, 10x10mm heart. Sold per pkg of (2) 15-1/2" to 16" strands. Bead, lampworked glass, multicolored, 15x14mm-17x16mm puffed heart. Sold per 15-inch strand. 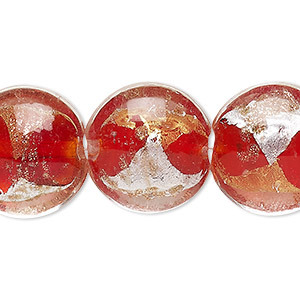 Bead, lampworked glass, red with copper-colored glitter and silver- and gold-colored foil, 20mm puffed flat round. Sold per 15-1/2" to 16" strand. 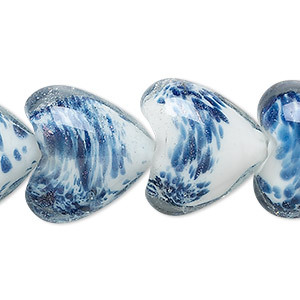 Bead, lampworked glass, white and clear with blue glitter, 20x20mm heart. Sold per 15-1/2" to 16" strand. 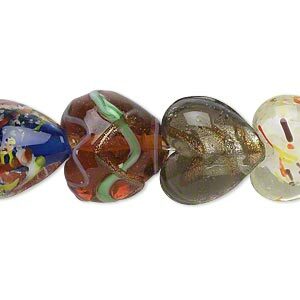 Bead mix, lampworked glass, mixed colors, 18x15mm fancy heart. 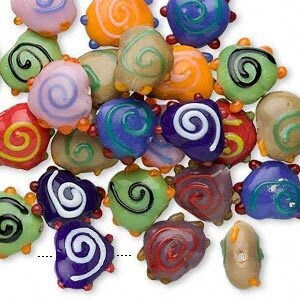 Sold per 100-gram pkg, approximately 30-35 beads. 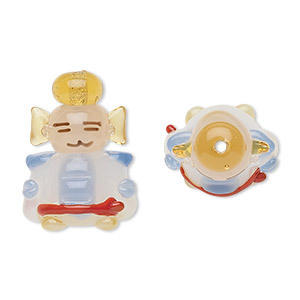 Bead, lampworked glass, multicolored, 23x17mm Sumo wrestler. Sold individually. 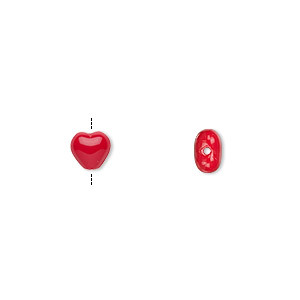 Bead, Czech pressed glass, light red, 6.5x6mm heart. Sold per 15-1/2" to 16" strand, approximately 65 beads. 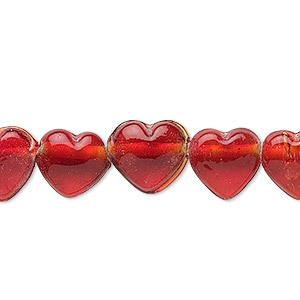 Bead, Czech pressed glass, opaque red, 6.5x6mm heart. Sold per 15-1/2" to 16" strand, approximately 65 beads.